One of the many options for new flooring in your home is a natural stone floor. This material is durable, classic, and works well in Lakeland, Florida’s climate. It keeps the temperature of a room lower than carpet or another material would, and it is easier to keep looking clean and beautiful. Because this is such a great option for flooring, we have a large variety of patterns and different types of stone for you to choose from. Natural stone flooring can work well in any room of your home. Kitchens, bathrooms, living rooms– any room is enhanced by a beautiful, natural stone floor. 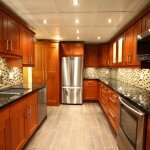 With our countless options at Jim’s Floor Depot, you will no doubt find the perfect stone for whatever room you want. You can’t go wrong with the classic, beautiful choice of stone floors. Contact us today to learn more about your natural stone flooring options. Our design team can help you decide which option is best for you, on both the practical and cosmetic side. Let us help you find the perfect option to enhance your home today!